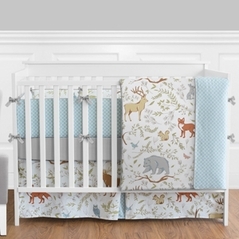 Earth tones bedding has long been a popular choice for parents looking to create a subdued and calm decorating scheme, so it only makes sense that earth tones baby bedding will have the same effect on your baby. 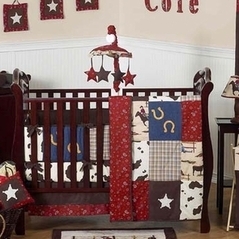 Brown & Tan colors are always great decorating colors because of their versatility, and now they've come to the bedroom with these stylish earth tone bedding sets. 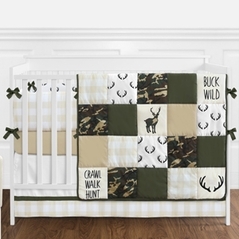 If you want to create a calming environment for your baby that is fashion forward, then look no farther than earth tone baby bedding. 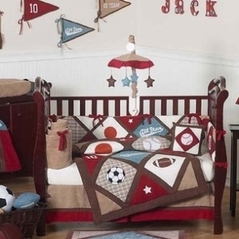 Decorating when you want to be surprised by your baby�s gender is easy with this dynamic color palette because it works equally well for boys or girls. 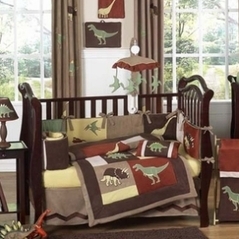 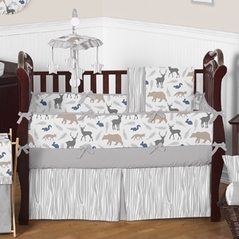 Whether it bedinosaur crib bedding to our wild western baby bedding you'll find earth tones in many of our nursery themes! 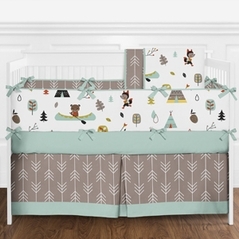 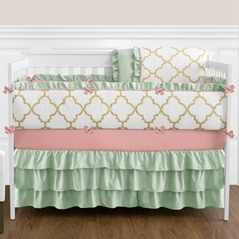 And each earth tones bedding set has matching accessories available to help decorate your child's room. 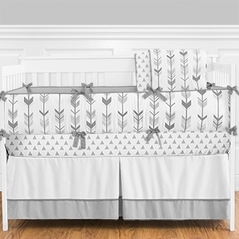 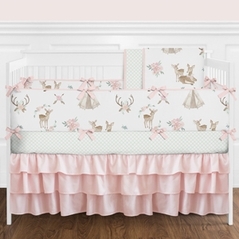 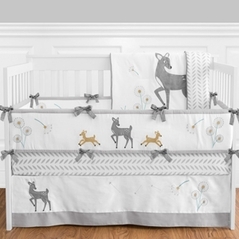 Beyond Bedding offers only the most beautiful baby bedding in earth tones to outfit your baby nursery.